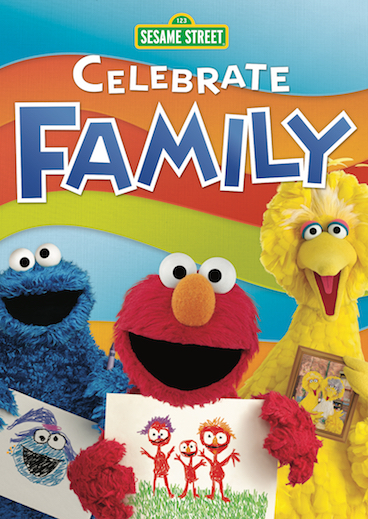 Susan Heim on Parenting: DVD Release and Giveaway: "Sesame Street: Celebrate Family" Arrives on DVD on February 5 ~ Get a Free Printable Pack and Enter to Win the DVD! Big Bird is one of our favorite characters. My kids always love Elmo because he's so cute and sweet and bright red but when I've always had a soft spot in my heart for Oscar the Grouch because his grumpiness makes me laugh. That great caricature of homelessness 'Oscar the Grouch' is my favorite Sesame Street Character What an easy and fun way to explain to your kids that some people live in garbage dumpsters! We love so many Sesame Street characters. I especially love Big Bird. Big Bird because he is smart and sweet but clumsy with his size. My grand daughter loves Cookie Monster and Elmo. 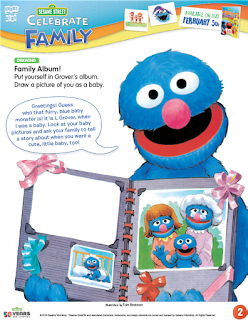 Cookie Monster is my favorite character. of course we love Elmo! I used to love Big Bird and Cookie Monster to! And who can forget the count !! We have always liked Big Bird. We love Elmo and Cookie Monster. My littles go crazy for Cookie Monster.